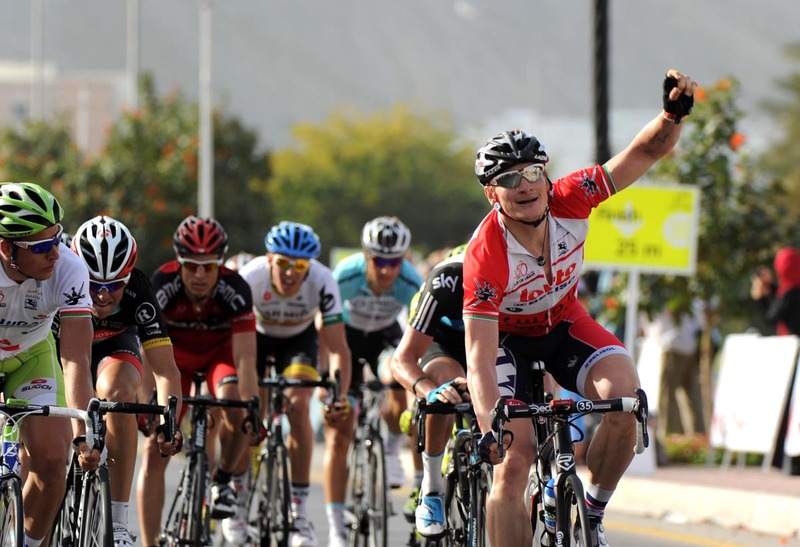 There seems to be no stopping Andre Greipel at the moment. 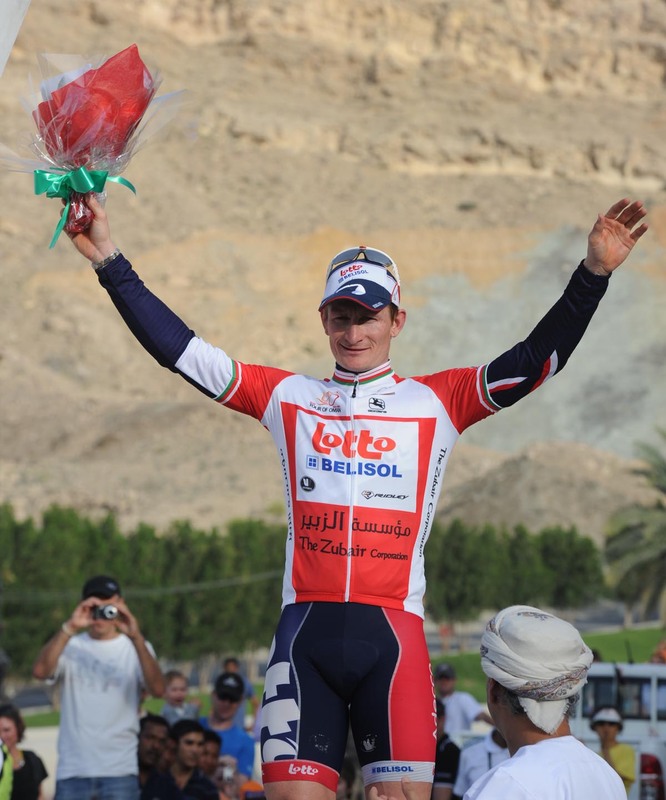 Even losing touch over the day’s last climb and a stop-start sprint couldn’t prevent the Lotto-Belisol man from taking his fifth win of the year on stage four of the Tour of Oman, ahead of Peter Sagan (Liquigas-Cannondale) and Tony Gallopin (Radioshack-Nissan). 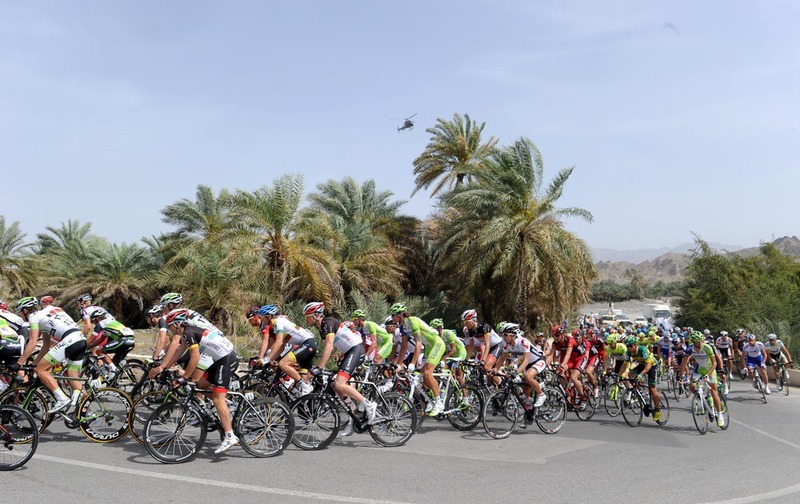 The finale was a fight between attacking climbers and hardened sprinters on a nagging finishing circuit around Al Wadi al Kabir, which featured a short, steep hill, nine kilometres before the finish. Beforehand, tallest man in the bunch Stijn Vandenbergh (Omega Pharma-Quick Step) was the day’s hero, escaping early on with countryman Klaas Lodewyck (BMC) and, latterly, holding off the bunch alone until the final ten kilometres. Once on the last climb, Marco Pinotti started a flurry of attacks that saw Sylvain Chavanel (Omega Pharma-Quick Step), Laurens Ten Dam (Rabobank), Jakob Fuglsang (Radioshack-Nissan), Sandy Casar (FDJ-BigMat) and versatile Peter Sagan (Liquigas-Cannondale) escape. But their bold move came to naught three kilometres out, and Greipel edged the 50-strong bunch sprint for victory – to his own shock. “I don’t have my most professional weeks behind me, so it’s a big surprise [to be going so well],” he said. Greipel also thanked his teammates for keeping him motivated and bringing him back into position off the final climb. Greipel’s strong climbing and early-season glut of victories bodes well for his avowed goal of Milan-San Remo, four weeks tomorrow. The overall Tour of Oman victory will be decided on tomorrow’s fifth stage, which finishes on the 5.7-kilometre, 10.5% climb of Green Mountain.